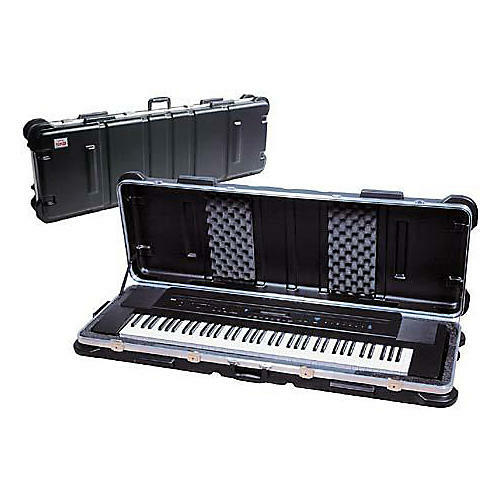 The popular SKB hardshell keyboard case is designed to provide convenient and dependable transport for today's electronic keyboards. Features polyethylene puzzle-foam interior for a customized snug fit. Meets ATA Cat.1 specs as an airline shipping container and is fitted with tough, lockable security latches. Indestructible built-in wheels. Maximum digital piano dimensions: 50-3/4"W x 5-1/8"H x 15"D.